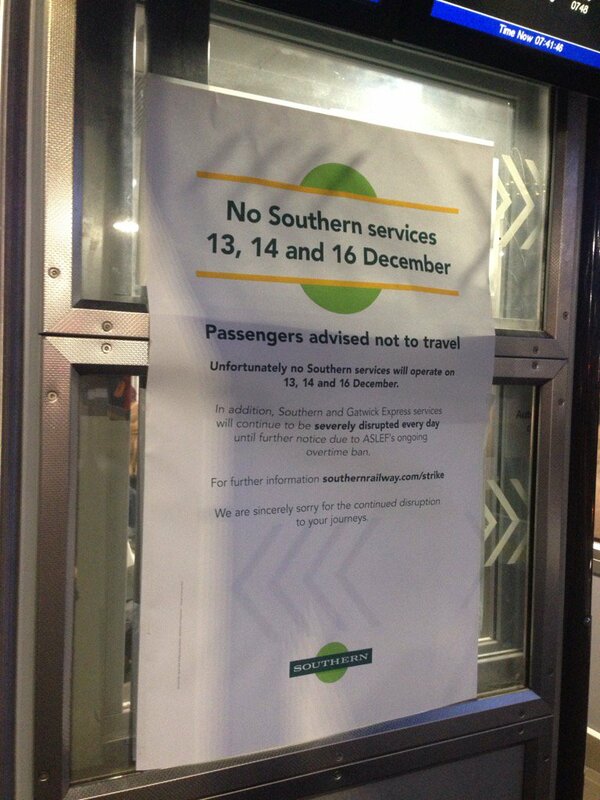 A poster has been shared online that appears to be from Southern Rail, warning passengers that strike disruption is going to be so bad that passengers should 'not travel'. The poster, which was shared on Twitter by Abby Tayleure, warns of fresh strike action by the RMT and Aslef unions beginning at midnight tonight - saying there will be no Southern services and as a result 'passengers are advised not to travel'. Passengers - including many commuters who rely on the service to get to work each day - have been subject to months of disruption and delays, due in large part to a long running dispute with unions over the introduction of Driver-Only-Operated trains. Southern told ITV News that its policy is indeed to 'tell the travelling public not to travel tomorrow'. We will work through the night to try and provide as many services as possible, but we are still advising passengers not to travel as we will not be able to offer a robust service they can rely on.